I know I’ve seen this mark before. 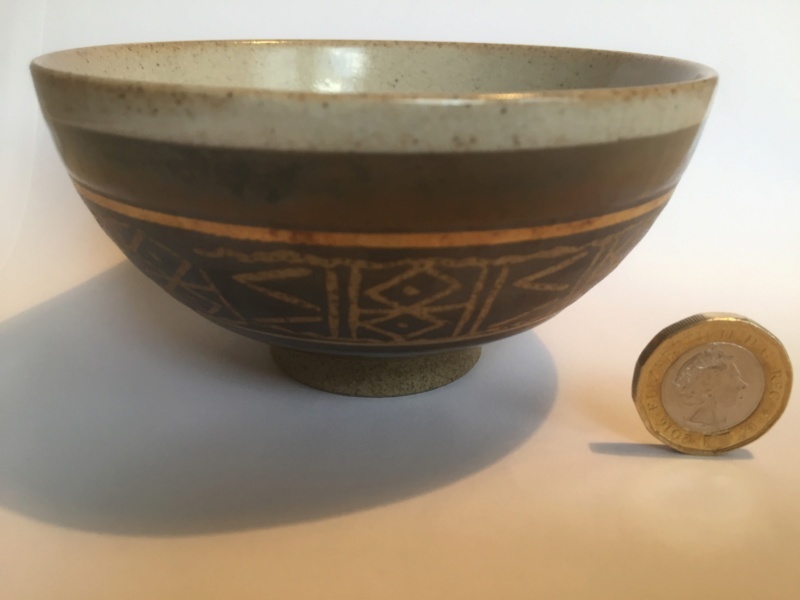 Small bowl 11 cm across, not sure if patten is incised or wax resist? Clear mark to base. 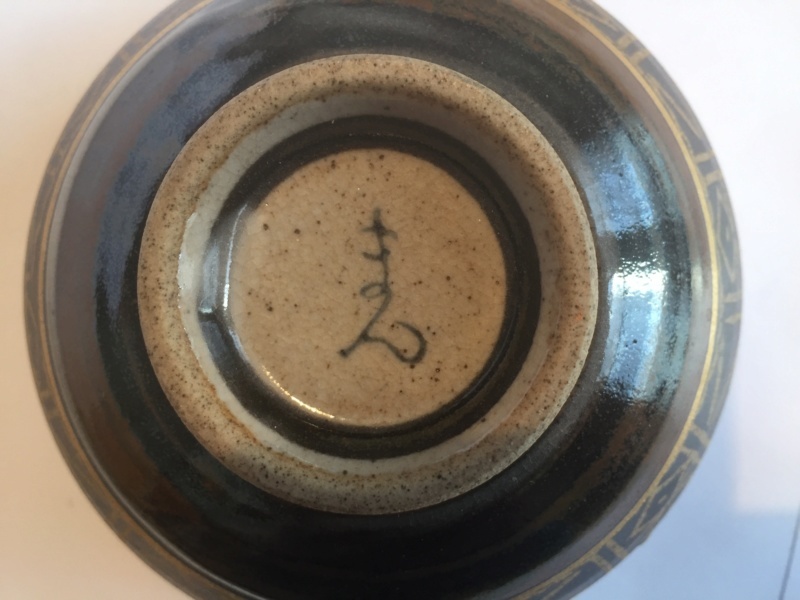 Please help with ID and glaze decorating techniques. Does the rest of the bowl look Japanese? I agree with all of the things that Naomi has said. It might be possible for me to narrow it down, if I could hold it, to being Japanese, which I think is most likely. However, I am not familiar with the style or the mark. 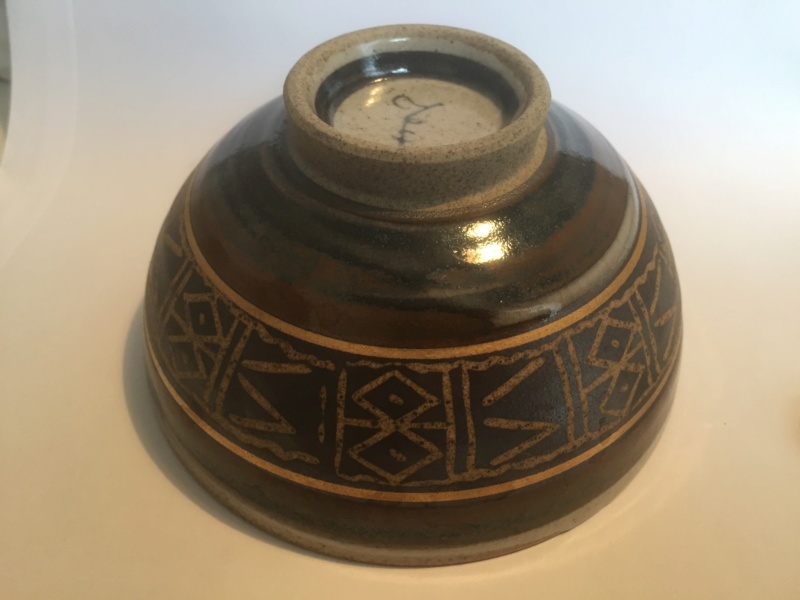 You guys do a great job from photos but there’s nothing like actually handling a pot to really know what it’s like.